1. Make sure you are buying the right size home. A big percentage of buyers feel they purchased the wrong-sized home after they’ve closed. 42% felt they should have purchased a bigger home. 2. Do your research up-front on the neighborhoods you are considering. You don’t want to find out after you’ve purchased your home that the neighborhood is not quite “your cup of tea.” 25% of buyers found this out too late. 3. Select your lender carefully. The right lender with the right loan products is as important to the purchase of a home as is the right real estate agent. One in five borrowers regretted their choice of lender after purchasing their home. 4. Be prepared financially for the costs of home ownership, especially if you’re a first-time buyer and haven’t been through the planning and budgeting process before. Be sure to work with an experienced Realtor®. 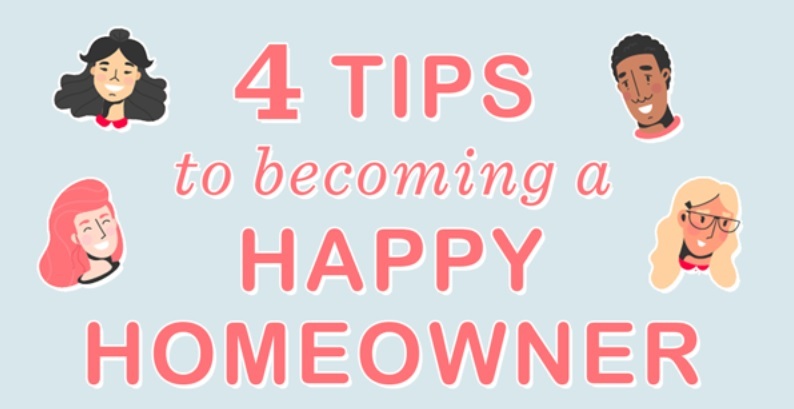 The right agent will make all the difference in the world in helping you identify the right homes, as well as with helping you with all four of these tips to becoming a happy homeowner. 5 Benefits Of Hiring A Real Estate Professional When Buying Your Home. 4 tips to help you make certain you don't have any regrets after buying your dream home and remaining a happy homeowner.